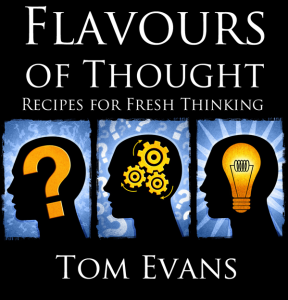 I am so thrilled to announce that, less than a year since I wrote the original book, Flavours of Thought is now in its Second Edition. If you already have a copy of the first edition and want the new parts of the book, I will email them to you as an ebook absolutely free – yep, for nothing, nada. All you have to do to keep everything in karmic balance is write a review on Amazon (or any other online book store or site), let me know when it’s up and I will wing it over to you. Can’t say fairer than that !! !